For me, one of the best parts about coaching fastpitch softball is the opportunity to meet (and work with) so many girls I would have never otherwise known. Today I’d like to share one of those stories since I think we could all use some good news right about now. It’s about a wonderful young lady named Emma Borrelli. Emma is an 8th grader, and just one of the nicest and most upbeat people you’ll ever want to meet. I work with her on both pitching and hitting, and it’s always fun because I can say the meanest, most insulting things to her to make a point (all in jest) and she just smiles or laughs. She’s also one of the hardest-working girls I’ve ever worked with. Anyway, her dad Mike forward an email that her homeroom teacher sent to him a few weeks back telling a kind of “under the radar” story that describes her character perfectly. It seems that in her homeroom class there is a boy with special needs. Every day, on her own, she helps the boy at his locker, walks him to his homeroom, and says goodbye to him after homeroom. No one asked her to do it. She’s not doing it to try to win an award or add something to player resume. She just does it because she is a good person. Or maybe there’s just something in the name Emma. What makes this so interesting is that Emma is not an outcast or a fringe kid. From what I understand she is pretty popular in the school, with a large circle of friends. She could easily walk right past this boy and no one would think twice about it. Yet she passes on hanging out with them before school to be with this boy instead, which her teacher says makes his day. Sometimes us older folks shake our heads at the younger generation and wonder what’s going to happen when the world is in their hands. Based on what I see and hear about Emma, as well as so many others, the world is going to be just fine. Maybe even better. Just wanted to take a moment here before the end of the year to thank everyone who has chosen to be a part of the Life in the Fastpitch Lane community this year. Whether you’ve been around awhile or have just come across this blog recently, I truly appreciate your interest in hearing what I have to say. Hopefully you’ve found the posts to be helpful, informative, and entertaining. A special thank you goes to those of you who have made the effort to subscribe so you don’t miss any posts. For those who aren’t aware, you can enter your email in the above left box to receive an email notification every time a new post goes up. I don’t have anything to sell, so you don’t have to worry about adding to the metric ton of spam you receive each month. All you get is an alert when a new post goes up. Also, I will never, ever sell your email address to anyone. Also a special thank you to those of you who commented on various posts throughout the year. Always love to hear the feedback, and to hear your stories. 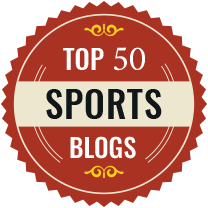 Finally, I want to thank those of you who share these blog posts with your social media contacts, friends, teams, and programs. I appreciate you going out of your way to help Life in the Fastpitch Lane reach a wider audience than it could on its own. Please keep sharing content you find valuable so it can helps others. The changeover in the calendar means the new season is coming fast. College teams will start practicing soon, and high school tryouts for spring softball will be here before you know it. Same with rec league tryouts. Travel teams have been practicing all winter, of course, but despite the arctic chill right now in much of the country it won’t be that long until those teams are hitting the field too. Whatever level captures your interest, I hope 2018 is the best year ever for your favorite player(s). I’ll do my best to help you make that happen by providing you with (hopefully) valuable information and inspirational stories. And if there’s a topic you’d like to see covered this year, definitely be sure to let me know in the comments below. Have a happy and successful 2018! NOTE: This post was edited on 12/29/17 to add a thank you to those who share the content with others. Huge congratulations are in order for University of Wisconsin – Madison pitcher Kirsten Stevens on being named the Big Ten Pitcher of the Week. Can’t say it comes as a surprise, though, after the weekend she had. Kirsten toss not one but two shutouts in earning her third and fourth wins on the season. And this after being sidelined for most of the off-season with a broken foot. When the accident first occurred it looked like the Badger might miss the first part of the season. But with a strong work ethic and help from the Wisconsin coaching staff and trainers, she beat the prognostications and is back on the field. And what a pre-season it’s been. Kirsten is currently sporting a miniscule ERA of 0.28, which is what happens when you’ve only allowed one run for the season so far. Over the weekend she also had a personal best 11 strikeouts against Hofstra, continuing the blistering pace for Ks she set as a goal before the year. And the best part? Kirsten is one of the nicest human beings you’ll ever meet. Always with a smile on her face, always remembering to have fun, and always making time to speak with and encourage the young players who look up to her (literally as well as figuratively) when she meets them. All we can say here is keep up the good work! And again, congratulations to both you and the team who helped you achieve a well-earned honor.